Sometimes people call our office to ask what it would cost per fixture for outdoor lighting. Seems like an easy question, right? But we just can’t quote per fixture. It doesn’t work like that, unfortunately. First of all, we need to know how many and which kind of fixtures are needed. Some fixtures cost more than others but are necessary to do the job right. And until we see where the project will be installed, we cannot begin to account for installation. When a contractor quotes a per-fixture price, they are going to either underprice to get the job (and you’d better believe they will make up the difference somewhere else) or overprice to take into account any potential difficulties, which simply means you are overpaying. Sometimes, we can give you a ballpark quote based on a photo, but for truly great design and an accurate quote, we need to stop by the install sight. The underpriced contractor is the scariest for the consumer—that installer is going to find someplace to cut their costs in order to recoup the loss. Perhaps it will be with cheaper wires, wire nuts instead of the more expensive (but totally worth it—we won’t use anything else) heat shrink connectors, or with a lesser transformer or timer. Or maybe, they will be hustling in and out of there so they can get to the next job and won’t properly bury the wires. In any event, you are going to end up unhappy when you discover where the corners were cut–usually made evident by an outage. Additionally, a price-per-fixture quote is likely to allow for only certain types of fixtures, and they may not be what you need. So the end result is likely to be a poor design. Why would you want ugly lighting? Over- or under-lighting looks bad and can be dangerous as well. Avoid the “More is Better” temptation—hey, the fixtures are only X dollars apiece. We can afford 20! (Even though your house would only need 15 well-placed fixtures that would cost less altogether, look much more beautiful, and function in a far superior manner.) 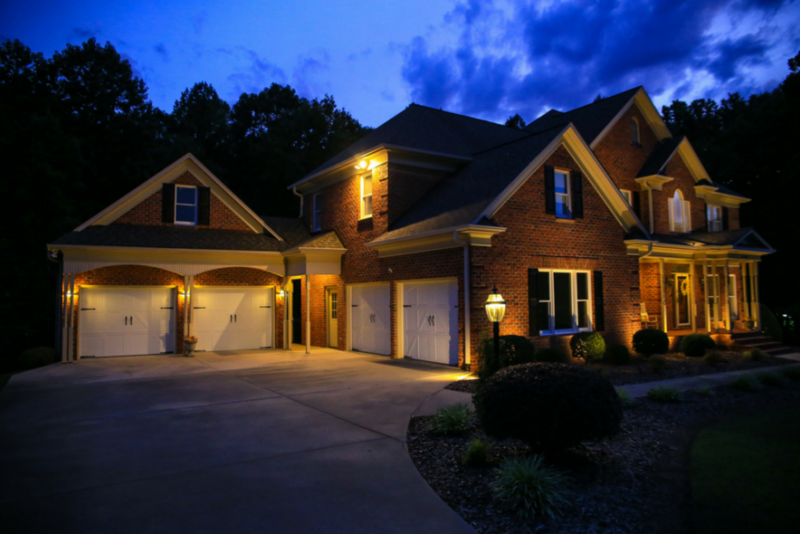 Don’t take that chance—hire a certified outdoor lighting designer to ensure you will have a well-designed project that is quoted accurately, and who will use quality materials and top-notch techniques. We weren’t born in the 80’s, but …. Music to My Ears: Introducing Outdoor Audio Systems! Can your Outdoor Lighting System Handle the Elements?